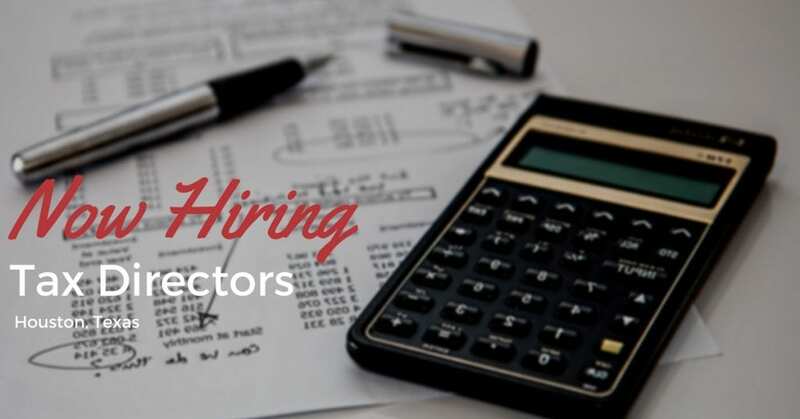 STS Technical Services is hiring Tax Directors in Houston, Texas. With sights set on hitting that $1 Billion growth milestone, and lead the upstream oilfield technology sector, our client is looking to add an extremely key member to its corporate staff. As the Tax Director, you’ll provide direct support to the Chief Financial Officer. Primary responsibility will be to develop and implement strategies that result in global compliance with all taxing jurisdictions while minimizing aggregate tax burdens worldwide. In addition, this position will manage the Company’s corporate tax function including tax compliance, tax leadership, tax strategy, and tax operational oversight to a geographically dispersed organization with a global footprint. A very healthy employment package, benefits package and relocation support offering has been assembled and we encourage anyone meeting the requirements below, who is interested in making a 110% commitment to long term employment to apply! Licensed CPA or Master’s in Taxation from an accredited college/university. An undergraduate degree with a financial or accounting concentration with an emphasis on taxation is preferred. 10+ years’ of corporate tax experience required. Intimate understanding of US GAAP. Experience with M&A due diligence, tax structuring and tax matters integration.